After the death of her husband, Boudica went on to battle the Roman’s, destroying Colchester and London. 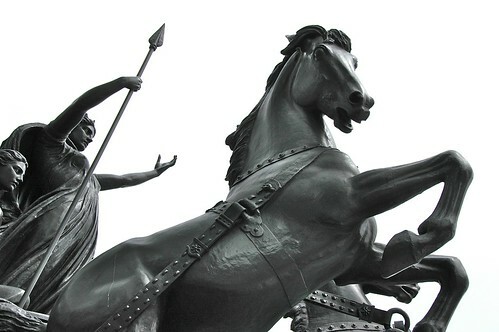 Boudica was known as the queen of the Iceni people, who resided in Eastern England. She was married to Prasutagus, ruler of the Iceni people and played a major role in rebelling against occupying Roman forces. After the Romans conquered southern England in AD 43, they allowed Prasutagus to continue to rule Eastern England, however upon his death they confiscated the property and decided to take charge. Years later (thought to be in 60 or 61 AD) the Iceni rebelled, along with the help of other tribes. Boudica and her warriors successfully defeated the Roman Ninth Legion and destroyed Colchester, which was the capital of Roman Britain at the time. They then took it a step further, destroying London and Verulamium. After a bloody battle which killed thousands of people, Boudica was defeated. It was thought that she took her own life to avoid capture. To this day the site of the battle and the circumstances of Boudica’s death are still unknown. The Battle of Barnet took place in Greater London during the War of the Roses. The exact date was the 14th April, 1471 and it is believed to have lasted around four hours. It was a significant and decisive battle which led to fourteen years of Yorkist rule in England. The battle was led by Edward of the House of York against the House of Lancaster, led by Richard Neville, 16th Earl of Warwick who was backing Henry VI for the throne. The Battle of Turnham Green took place on the 13th November, 1642 near the village of Turnham Green. It followed the battle of Edgehill, where after taking Banbury and Oxford, the royalist army went on to advance through London and along the Thames valley. After two successful attacks on parliamentarian regiments, the royalist army was delayed and halted by the parliamentarian army close to Turnham Green. The royalist army was commanded by Patrick Ruthven, Earl of Forth and the Parliamentarian army was led by Robert Devereux, Third earl of Essex. After a full day’s battle both sides lost around fifty people and it resulted in a Parliamentarian victory. The Battle of Cable Street took place on Sunday 4th October 1936. Cable Street is located in the East end of London. The battle took place between the Metropolitan Police and around one hundred thousand anti-fascist demonstrators. The demonstrators were attempting to build road blocks to prevent Oswald Mosley and the British Union of Fascists from marching through the street. As the police attempted to prevent them from blocking the road, they were attacked with sticks, rocks, chair legs and other improvised weapons. The British victory in the Battle of Britain was a significant turning point of the war. The Battle of Britain took place during the Second World War and was the name given to the air campaign set up by the Germans. The battle took place in London skies during the summer and autumn of 1940. To that date, the Battle of Britain was the largest and most sustained aerial bombing campaign. 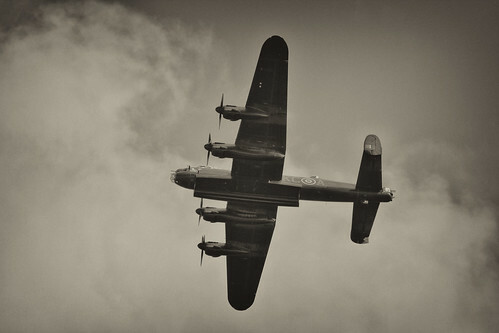 It was also the first major campaign to ever be fought entirely by air forces. It was the aim of the Germans to defeat the Royal Air Force by targeting coastal shipping convoys and centres, RAF airfields and infrastructure and aircraft factories. The fact Germany failed to achieve its objectives of destroying Britain’s air defences is considered to be the first major defeat and a significant turning point during the war.